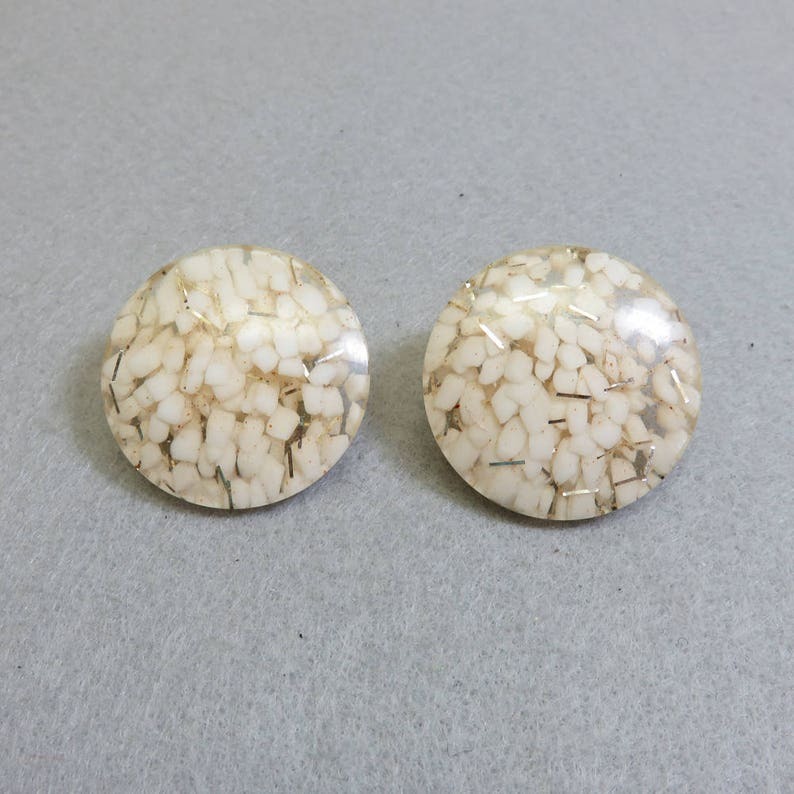 These fabulous 1980 era white and gold confetti clip on earrings are in excellent condition and are a take off of the kind popular in the 1960s. They are very light to wear and measure 1 1/2 inches in diameter.. They are unsigned. We will send this to you in a lovely gift box for easy gift giving or safe storage.